High speed broadband network Bharat Sanchar Nigam Limited introduced new one plus one scheme for existing Landline customers offering free landline connection as well discount on voice calls upto 50 percent under Landline services on PAN India basis. Business telecom and 4G technology provider BSNL has announced launch of new 1 + 1 scheme for present Landline connection customers offering discount from 25% to 50% on 2nd landline phone in all telecom circles under landline segment and implemented with immediate effect on promotional basis for a period of three months. As per latest information, BSNL recently launched its 4G technology in Karnataka and erstwhile in Kerala circle to compete with new telecom entrant rival Reliance Jio. In this connection BSNL moving strategically in all segments i.e Broadband internet, Landline voice calls and Mobile 4G technology data plans etc. Under this new 1 + 1 scheme, bsnl will provide 2nd Landline telephone rent free connection to the customers who are having one Landline connection at his/her premises. 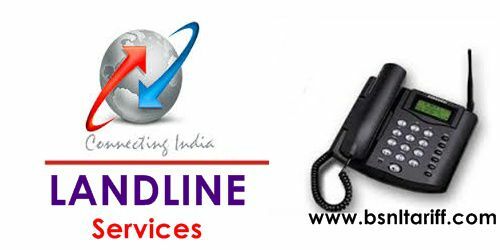 The 2nd Landline connection will be provided at the same premises where the first landline connection is installed on promotional basis for three months on PAN India basis. In addition, customer who applies for second rent free connection will get the following benefits. The above promotional offer is available for all existing fixed connection customers in all telecom circles for a period of 3 months.